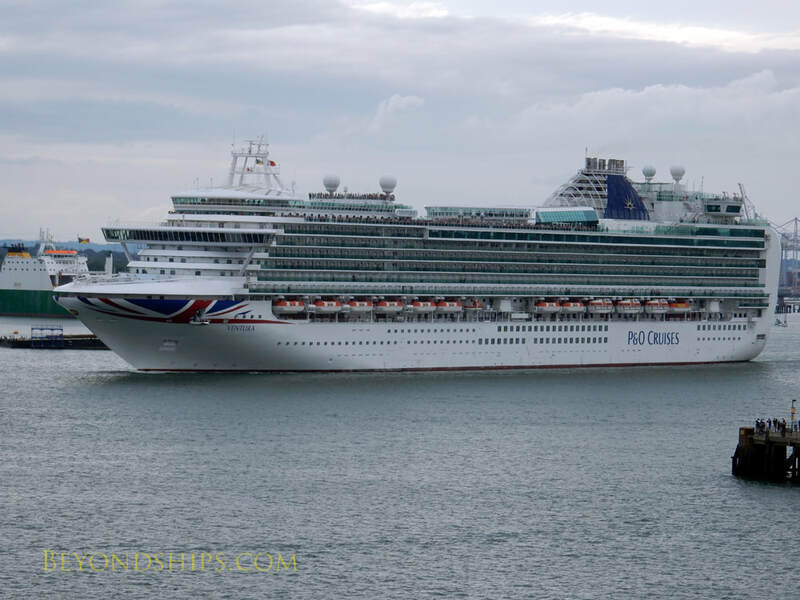 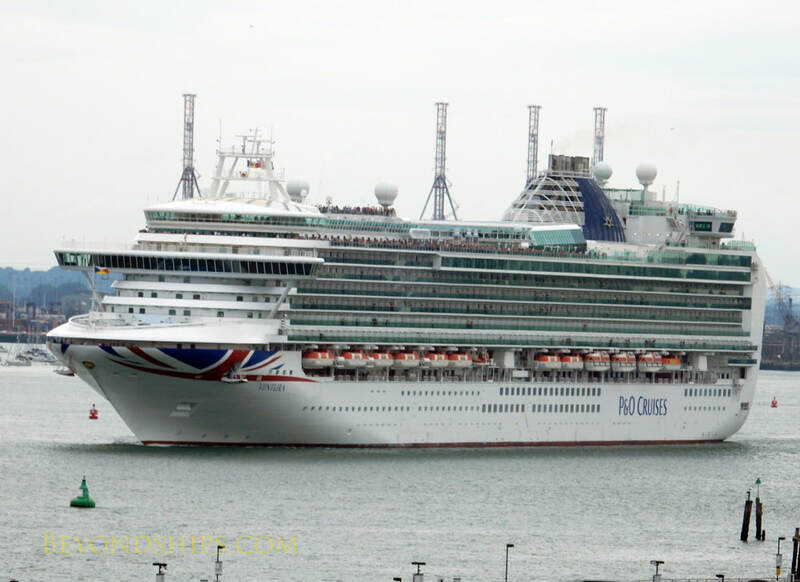 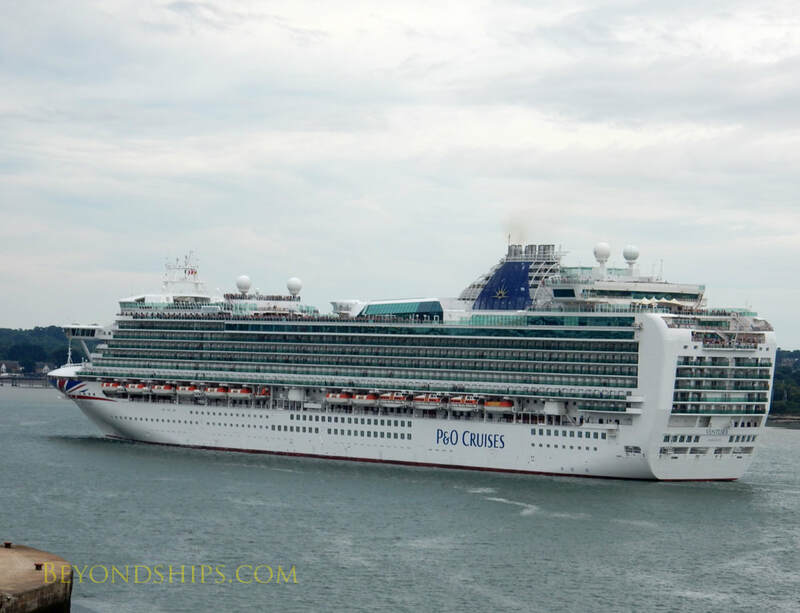 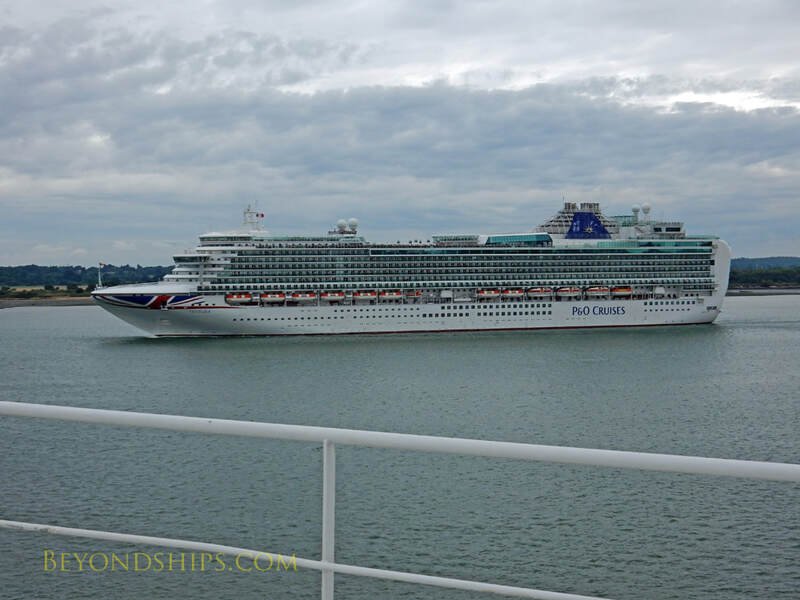 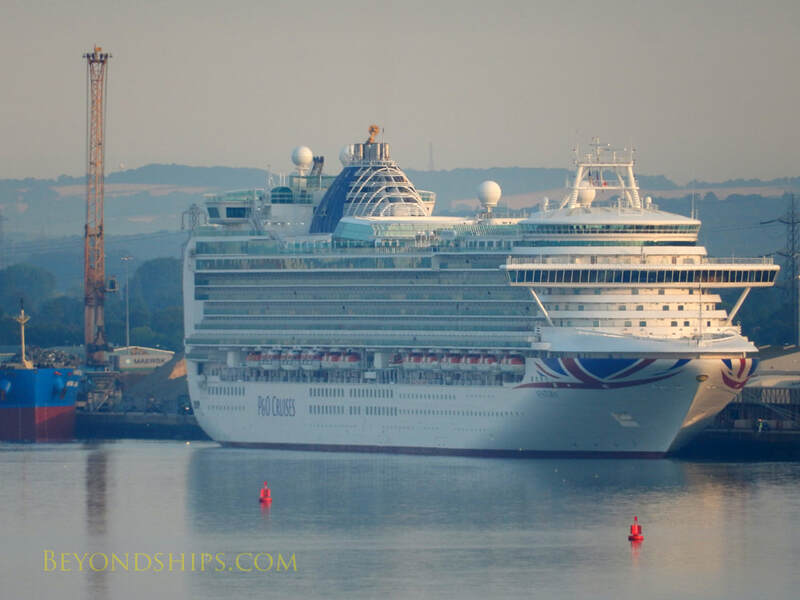 In this pictorial, we see P&O Cruises' Ventura in her homeport of Southampton, England as she ventures out on a summertime cruise. 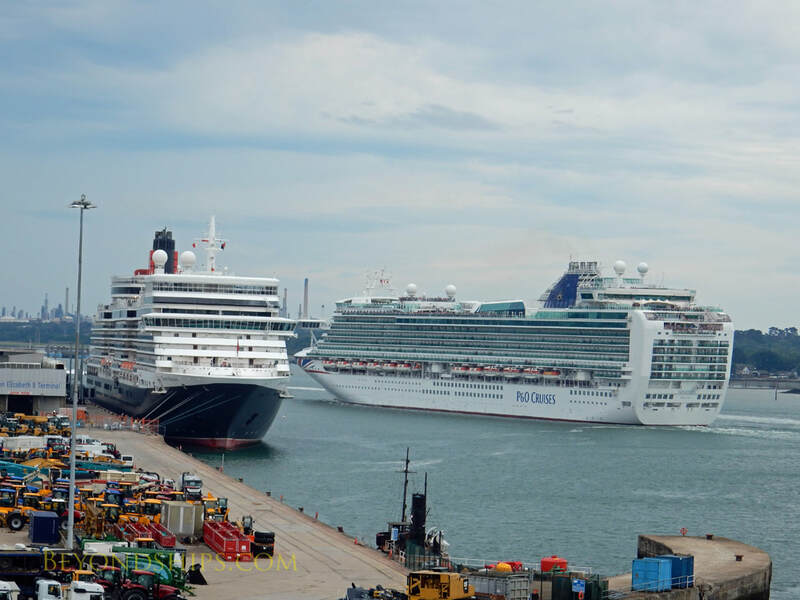 Above and left: Ventura at the Mayflower Cruise Terminal. 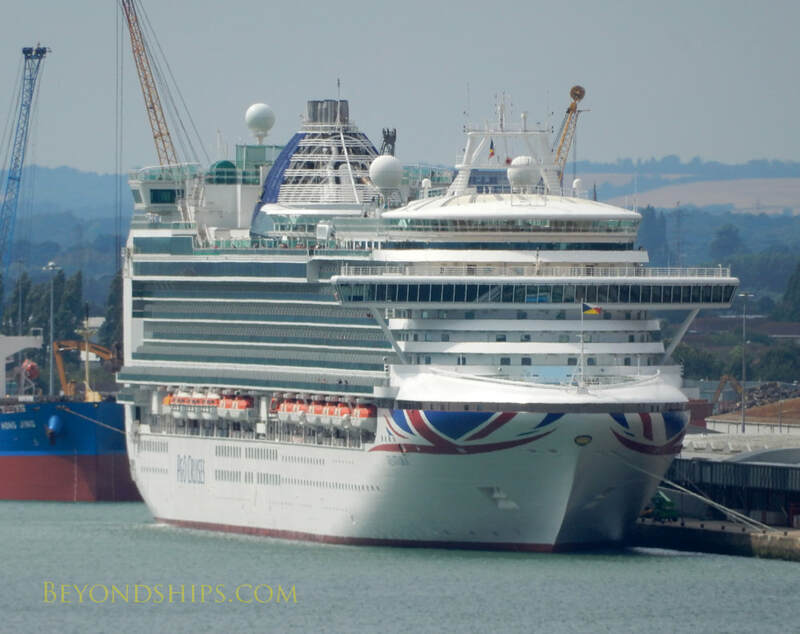 ​Below: Ventura underway in Southampton harbor.